I opted for the Poached Lobster Tail & Sutchi Fillet ($28.80) that comes with Sautéed Spinach and Lemon Butter Sauce. This dish tastes delicious despite using Sutchi for the fish. Would’ve preferred a tastier fish, but it was cooked well and had no pungent fishy smell or taste. Both the fish & lobster tasted great with the lemon butter sauce. The fish sits on a small bed of spinach and mashed potatoes. Can only say I wish the lobster tail wasn’t so small. But I’d definitely eat this again! Ambush: Poached Lobster Tail & Sutchi Fillet with Sautéed Spinach and Lemon Butter Sauce. 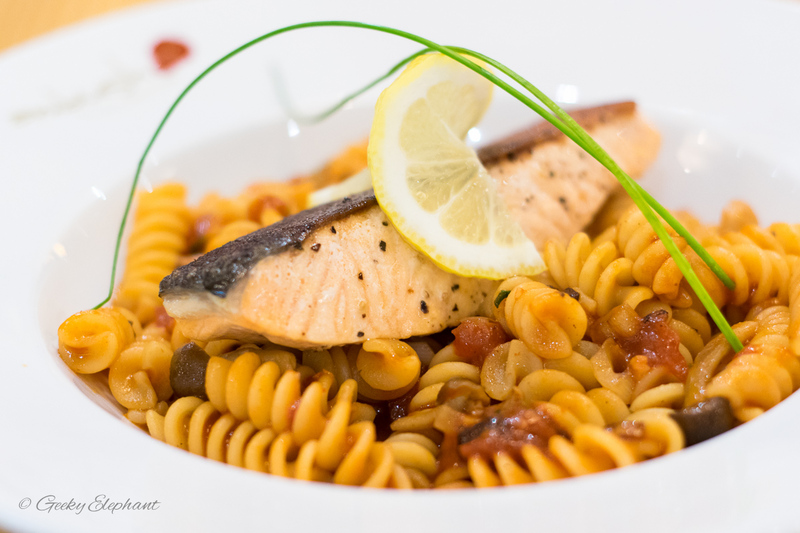 My friend went with the Fusilli Salmone ($15.20)—Salmon, Mushroom & Thai Basil Sauce. No complaints at all. The salmon wasn’t overcooked or fishy, which are usually my main concerns for salmon dishes. Ambush: Fusilli Salmone, Salmon, Mushroom & Thai Basil Sauce. As we were in a little rush to make it for our friend’s dance recital, we ordered desserts and had them served along with our mains. 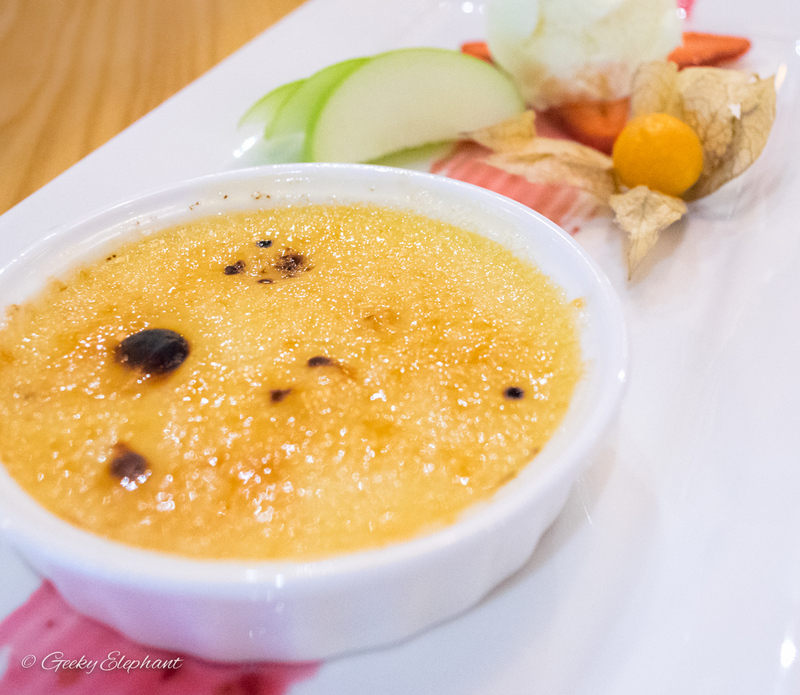 I’m a sucker for Creme Brûlée, all the more if it involves Baileys, so I ordered that at first glance. 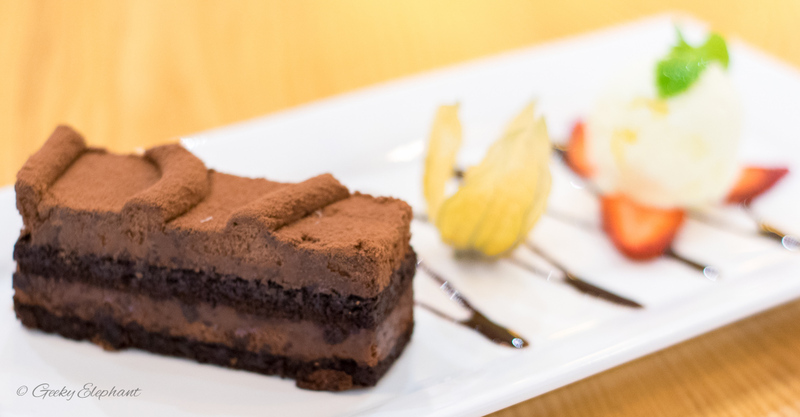 My friend went with the Valrhona Chocolate Amer ($8.80), flourless sponge, cocoa powder mousse served with vanilla ice cream. The Baileys Creme Brûlée ($8.80), French custard, Bailey’s liquor, crispy shell and vanilla ice cream, didn’t disappoint my sugar cravings. Maybe the crust could have been more evenly caramelised, but the custard was soft and the taste of Baileys Irish Cream took me to food heaven for a minute or two. 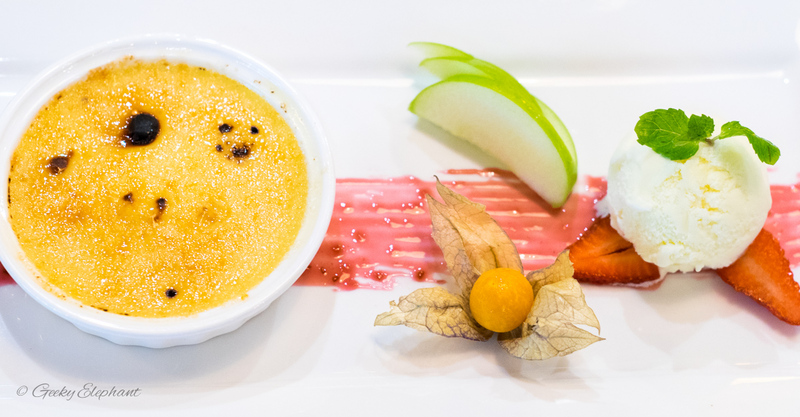 Creme Brûlée is a sweeter dessert, so the vanilla ice cream helps to bring the sweetness level down a notch. Overall the food was satisfying and the service crew were very friendly and attentive. Their new menu design just makes me want to try all the dishes! Prices are very reasonable and the locations is very accessible. If we had more time, I may have topped up $5.50 to have a drink and soup of the day which can be applied to every main course ordered. Their cushioned seats need a bit of upholstery work though, but that’s just me being picky and not liking the look of pvc peeling as it was the first thing I saw as I walked to our table. Not sure why the place was so empty, but it’s definitely worth a try. I think this is a great place for my next Coffee & Cravings meetup. 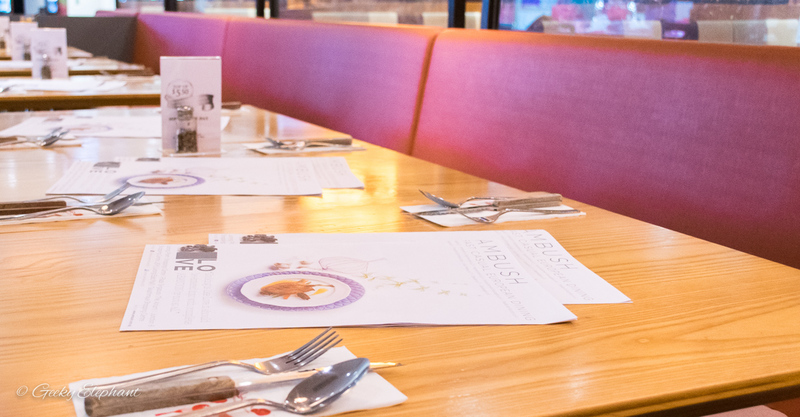 A very affordable, casual dining experience with fast, friendly service. 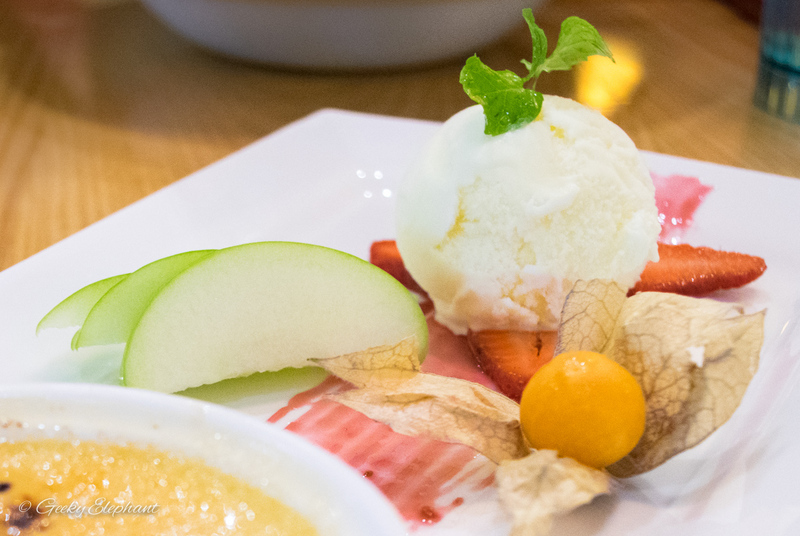 Conveniently located at Plaza Singapura, the open concept restaurant serves up a variety of European dishes including mussels & clams, pasta and simple desserts. Great for group gatherings or a date, the casual environment makes it a relaxing place to chill out. 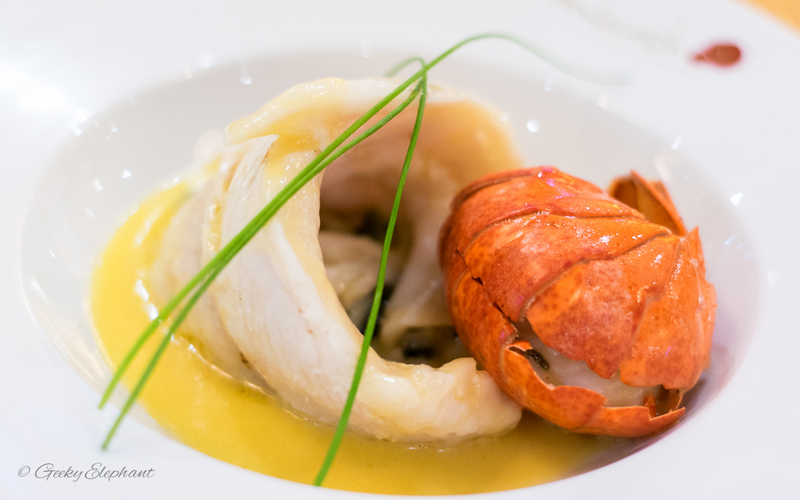 The Poached Lobster Tail & Sutchi Fillet is delicious with the lemon butter sauce. 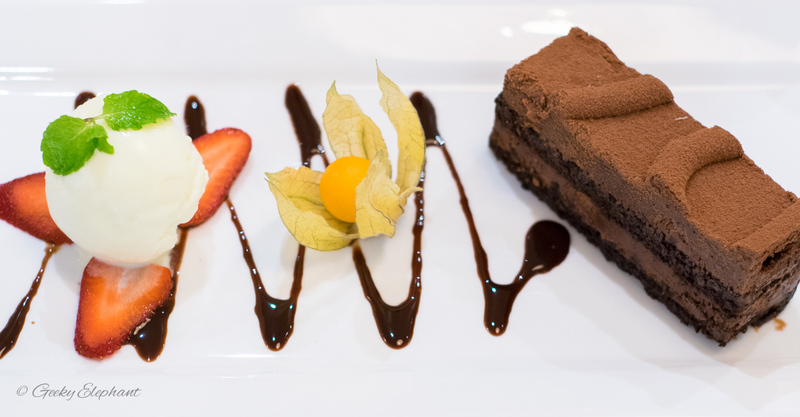 The desserts range is average, but includes well known options that are very nicely presented. 0 Comments on "Ambush: Casual Affordable European Dining"